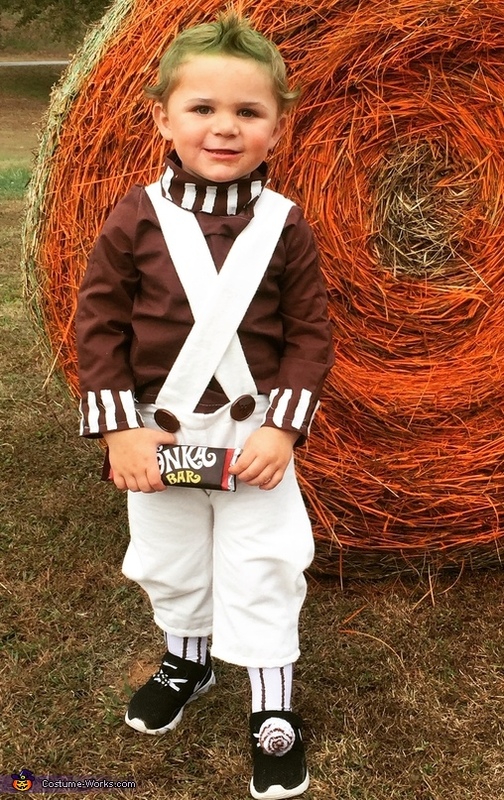 This homemade costume for babies entered our 2015 Halloween Costume Contest. This home made costume is very special because liam's (in photo) meme made it. He always goes around singing the Oompa Loompa song from willy wonka's Charlie and the chocolate factory so it was perfect. We purchased the fabric and felt from Walmart for about $8 and a couple buttons. It turned out better than we imaged and Liam loved his costume.